Kanj Hotels & Resort is a leader in the Indian hospitality industry, with a distinctive collection and a good reputation for excellence. Our portfolio includes elegant resorts, village resort, luxury forest camps and heritage hotels. From the Village of divine Goddess Sundha Mataji and forest of Jaswatpura to the heart of the lake capital of India “Udaipur”, Kanj Hotels & Resort offers a superior guest experience that is uniquely pleasant.Hotels under our banner gives guests an extraordinary place that is created by combining unique architecture and structure, expressive decor and artistry, and magnificent features all in one great location. Add great service to this and the result is an extraordinary experience that would make your memory of Kanj Hotels & Resorts a long and lasting one. All of our hotels are located in a pollution free zones, surrounded by beautiful mountains with utmost peace. The only sound you will hear is the sweet chirping of birds and feel the cool breeze of wind, in other words Kanj Groups of hotel & resorts ensures you a peaceful environment away from the stressful, polluted city life.Our collection includes fine luxury resorts as The Kanj Ayaan Resort Udaipur and The Lohana Village Resort both steeped into natural atmosphere. Our resorts are situated in some of the most breath–taking and pristine areas of Rajasthan, and travellers from across the globe associate with Kanj Hotels & Resorts with the most inviting warm hospitality. Our upcoming Projects are; Heritage Property The Kanj Haveli which is located in the beautiful dense forest of Kumbhalgarh and The Lohana sand dunes Premium luxury Huts Located in the golden dessert of “Pancheri” between the Aravalli hills.We guarantee consistency throughout our collection of hotels and resorts by adhering strictly to company–wide standards. Central purchasing ensures the same high–quality amenities are available to all guests wherever they visit. All these and more make every Kanj hotel or resort an extraordinary place, and your stay, an extraordinary experience. Disabled Facilities, Doctor on Call, Business Facilities, Family/Child Friendly, Safe Deposit Box-Front Desk, Backup Generator, Internet/Wi-Fi, Restaurant, Complimentary Newspapers in Lobby, Room Service. Child Care, Television Room, Bottled Water in Room, Cable/Satellite TV, Complimentary Newspaper, Iron/Ironing Board, Internet Access, Daily Room Cleaning, Safe Deposit Locker Facility, Reading Lamps. 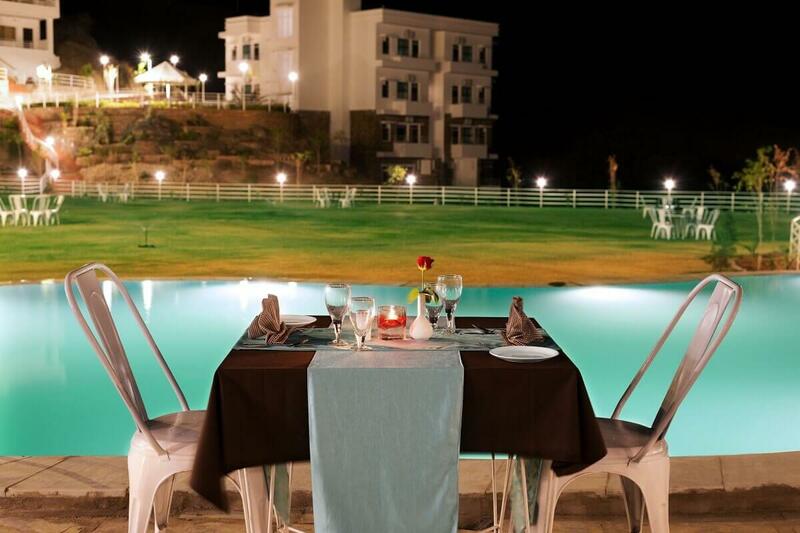 User reviews for "Kanj Ayaan Resort Udaipur"